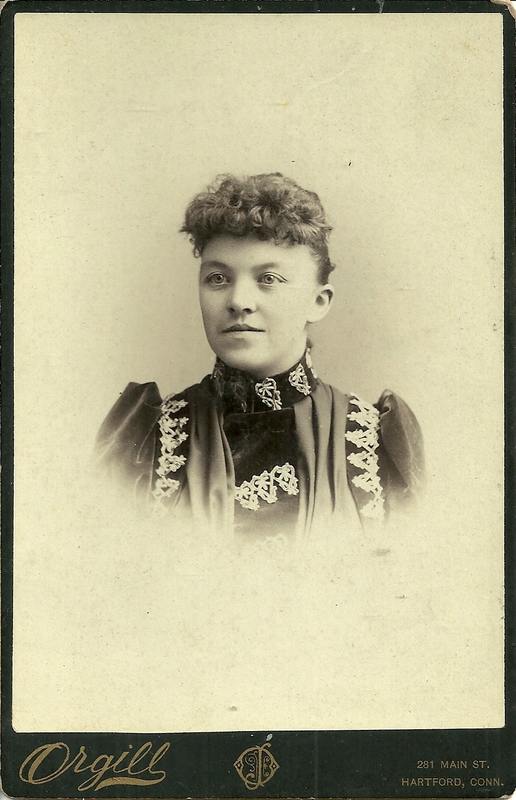 Cabinet photo of a woman identified on reverse as, if I'm deciphering correctly, Amalie Jensen. 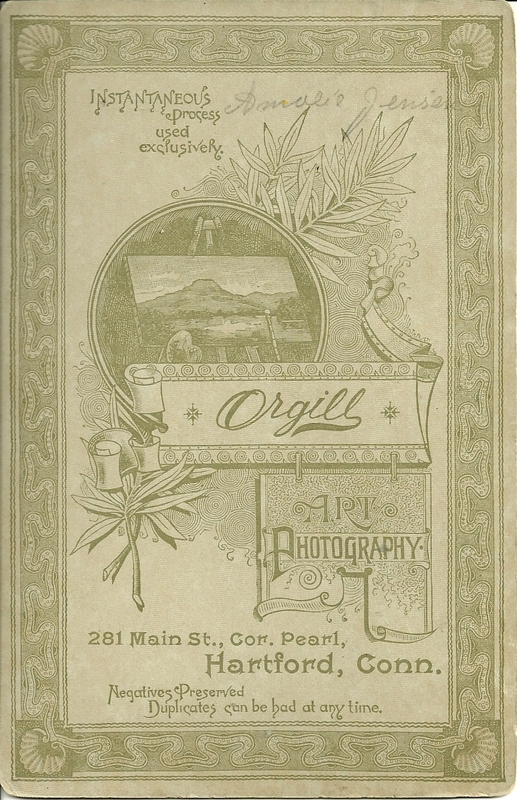 The photograph was taken by the studio of Orgill of 281 Main Street, Hartford, Connecticut. 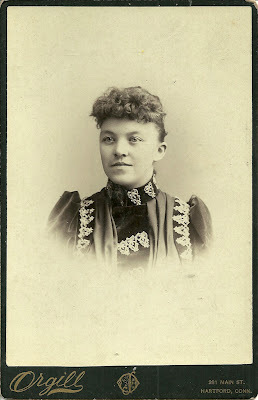 Whether or not this is the correct person, I don't know, but I found an Amalie Jensen in the 1910 and 1920 Censuses of New Haven, Connecticut, married to Carl Johan Jensen, and the mother of two children, Torbjorn and Swarhild. This Amalie was born in Norway about 1874. Carl was born in Kristiania, Norway, on 8 November 1872, the son of Carl Johan Jensen and his wife Josephine (Andrine) Jensen. Carl and Amalie married in Norway; the two children mentioned above were born there. The family immigrated to the United States in 1905. If you have any corrections or additions to the information presented above, or if you believe the woman in the photograph is someone else, please leave a comment in the comments box or contact me directly. Enjoy - thanks for stopping by!